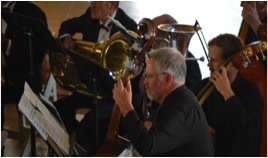 Take a look at the Mariposa Symphony Orchestra’s new mini-documentary! A journey both figurative – and literal. There are two primary points I’d like to convey: first, our upcoming MSO Spring concert tour honors the National Park Service in its 100th Anniversary Year. We honor the institution and those who’ve served with pride, duty and love for the great outdoors. We’ll proudly commemorate the men and women of the NPS who manage, protect and serve as our stewards of these great treasures which belong to we, the American people. From 1916 to 2016: a century of service. One hundred years of dedication. But this is far more than a celebration of our National Park Service. For the first time, we’ll truly unite the Yosemite Gateways – and do so with the power of music. And so, secondly, the other historic and perhaps even somewhat grand aspect to these concerts is the fact that your MSO will perform this program on tour in five central California counties united by Yosemite National Park. And I’m so proud of that fact – the fact that music will unite us, music will bring our gateways together. Great gratitude goes to the California Arts Council’s recognition of this, my “Anniversaries” project. Their Creative California Communities Grant helps us to partially defray the huge cost of this undertaking. In addition to Mariposa County and Yosemite itself, we will also proudly present your MSO in concert in Madera, Merced, Tuolumne and Mono Counties. Our Spring MSO concert tour unites our various communities around that which we all share – Yosemite – bringing the Gateways together in a way I don’t recall has occurred before. This tour is a celebration of our Yosemite Gateways – a celebration of the cooperation and goodwill that must – and does: unite us all. Because when one gateway suffers, we all suffer. When one entrance to Yosemite is temporarily closed due to a natural disaster: a rockslide, or winter conditions, or a wildfire: we all pitch in to help. And when one gateway prospers: we all prosper. My intention with this tour is that it not only commemorates the NPS, but that it also sends a very warm shout out to the sharing, cooperation and camaraderie which unites us – with a wink to the friendly competition we siblings have long relished. 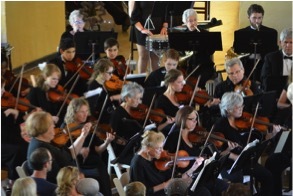 This Mariposa Symphony Orchestra – YOUR symphony orchestra of the Yosemite Region: proves that just as an orchestra is made up of disparate sections of strings, woodwinds, brass and percussion – so are we made up of unique, thriving communities which – when brought together, can make beautiful music together. A far greater unified whole even than its magnificent individual parts. And so this concert program actually features two premieres. One is the world premiere of my new piece specifically marking this year’s NPS centennial, the symphonic movement I’ve titled Guardians of Magic, Stewards of Wonder. The last-composed piece of the four in my cycle, this one was written to honor the men and women of the NPS. And additionally, with its performance in its rightful place as the third movement of the complete set, we now offer the first integral performances of the concert-length cycle, complete at last. The premiere of my (literally) years-in-the-making complete symphonic cycle of four commemorative symphonic poems saluting “outdoor” anniversaries of 2014 – 2016. 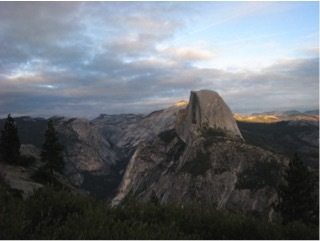 Three of those commemorative works have already been individually premiered by the MSO both in Mariposa and in Yosemite – the movements which in 2014 commemorated the 50th Anniversary of the Wilderness Act and 150th Anniversary of the Yosemite Grant Act, and 2015’s 125th Anniversary of Yosemite National Park. I’d like to tell you a little about the genesis of this project. It was actually born right in Yosemite! Now there’s a thought: Celebrating our National Park Service and also uniting our Yosemite Gateways. After four years, that tiny spark of an idea is about to become a very big reality. And I have to confess that I’m in a slight state of disbelief. It all began simply – early in 2012 at a Gateway Partners quarterly meeting in Yosemite when National Park Service (then-) Anniversaries Coordinator Kass (Hardy) Bissmeyer introduced news of four anniversaries to be celebrated in 2014 – 2016. She asked us to consider what our Gateways could each do and began assembling a team to coordinate the process; I volunteered to serve on the Events Committee. Right then and there, we began the abstract planning process, led by Kass and her experience with the 2010 Glacier National Park Centennial. 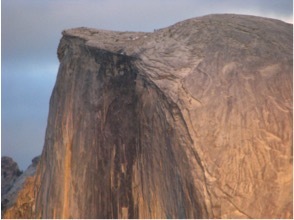 Those four upcoming anniversaries were: June 30, 2014’s 150th Anniversary of the Yosemite Grant Act. September 3rd, 2014’s 50th Anniversary of the Wilderness Act. October 1st, 2015: the 125th Anniversary of Yosemite National Park. And finally: August 25th, 2016: the National Park Service Centennial. Well, I immediately felt the need to give back. To serve; to express my love for this great park, my awe of America’s nature, this world’s wilderness – and yes, certainly this magnificent park service. The idea? That thought which popped into my head while I sat with Kass? Why not compose a symphonic cycle – a set of four orchestral poems, one for each of those anniversaries. Major, big works which would ultimately combine to create a celebratory cycle: an “Anniversary Symphony” of sorts. And I could have my Mariposa Symphony Orchestra perform each piece in its anniversary year. Kass liked my impromptu idea; when it took flight, little did we realize where that wild thought would eventually land. Within 18 months, the MSO premiered my Wilderness: Our Necessary Refuge (marking the 1964 creation of the Wilderness Act) and then later, my Hope in a Time of Tragedy (commemorating the 1864 signing of the Yosemite Grant Act) in both Mariposa and in the Ahwahnee (now Majestic Yosemite) Hotel, where we’ve been honored to play an annual concert for many years. As Kass moved on to other responsibilities, we were fortunate to have the wonderful Kristen Kosick take over for her. Last April the MSO premiered my simply-titled Yosemite! in observation of the park’s 125th birthday – not long after I had been humbled and stunned to be named a National Park Service Centennial Ambassador. Now – in April, 2016: we will premiere not only the last-composed, brand-new movement, the one dedicated to this year’s 100th anniversary of the creation of the National Park Service – Guardians of Magic, Stewards of Wonder – but we will also perform the complete, integral cycle – all four movements – as I envisioned from the beginning – from that little brainstorming session with Kass. But wait: there’s far more. 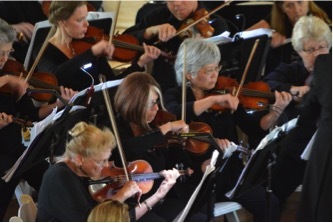 My real dream – my huge, IMPOSSIBLE dream: was to share this cycle, this orchestra, with our Yosemite Gateway communities. As many counties and communities as possible in this geographically huge, sometimes individually-isolated region. Art is one of the great unifying elements of humanity – music in particular speaks a universal language that’s not reliant upon training, experience, knowledge or background for comprehension: music can literally speak to anyone. 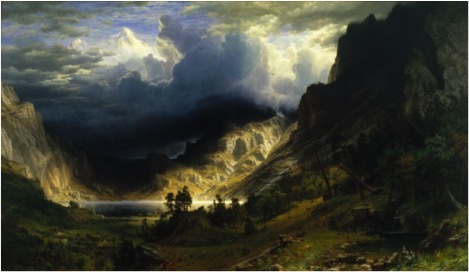 And of course, the same may be said for any representational performance or visual art medium: in the 19th century the visual arts – particularly painting, sketches, photography – actually helped to create Yosemite when doubters refused to believe such beauty existed, and the arts must remain a source of generous communication, expression and interpretation of nature. I’m a member of the Board of Directors of the Yosemite Gateway Partners and after all: part of the mission of the YGP is to “collaborate on and address issues of regional importance to create sustainable cultural, natural and economic prosperity.” I’ve wanted to do what I can for our shared cultural prosperity – and I’ve long referred to the MSO as the symphony orchestra of the Yosemite region. It IS your orchestra – and I really do hope you see it that way. After all: the musicians aren’t only from Mariposa County – many come from Fresno, Merced, Stanislaus, Madera and one talented couple even comes all the way from San Joaquin County – for our weekly rehearsals. Some are retired or active Park Service personnel; others are park concessionaire employees. This is truly YOUR Yosemite orchestra. And I have to share this with you: we just broke our record for long-distance musical participation. A highly-accomplished violinist who lives on the East Side of the Sierra in a rural area of Inyo County was so enthralled by the concept of this Gateway tour of the MSO and the nature of the music we’ll play that she asked to join the violin section for this event. But she lives about 350 miles away as the car drives (and that’s only when the passes aren’t closed by snow – as they are for the usual entirety of each winter) – a good 100 miles away over the Sierra Crest as the crow flies. No matter: thanks to the fact we’re living in this incredible age of modern technology, she’s been actively – albeit remotely – participating in our rehearsals at Mariposa High School from her home in a rural area outside of Bishop via Skype. I see and hear her; she sees and hears us – though separated by that remarkable distance. And she will actually (of course) make the long trek to the West side to join us in the flesh for our final rehearsals and course – performances. Which is why I’m amazed and thrilled though perhaps in that slight state of disbelief that my erstwhile prohibitively expensive “impossible dream” is actually coming to pass as we prepare to share this orchestra with YOU. In YOUR communities. With thanks to the remarkable grant writing expertise of Cara Goger – our Executive Director of (parent organization) the Mariposa County Arts Council, Incorporated: we were awarded a $33,000 “Creative California Communities” grant from the California Arts Council to help defray the costs of presenting my symphonic anniversaries homage in a series of seven concerts, in five counties – in the cities and towns of Merced, Mariposa, Oakhurst, Sonora, Mammoth Lakes and in that crown jewel of our National Park Service: Yosemite National Park itself – with a concert hopefully near you. As I look back on this now-complete massive cycle of well more than 70,000 measures of music composed for a full symphony orchestra, my files contain pages and pages of proposed ideas, scribbled and scrawled tunes, harmonic progressions and plans for this cycle. Music written whenever the muse struck; I actually composed a little music during our quarterly YGP meetings in the park and also within some of the settings depicted specifically or in abstract, including various sites in Yosemite. One of my most productive (and favorite) locations in the Valley is the old Pioneer Cemetery and I composed there in the midst of many resting native Americans as well as Galen Clark, Florence Hutchings and Gabriel and Rose Sovulewski. There’s something organic and pure about creating any form of representational art in the presence of the actual inspiration – as I explained to a couple from Nebraska curious to know what I was doing one day in the cemetery – and who later actually returned to Yosemite just to attend our Ahwahnee concert at which that music was played by the MSO, to my very happy amazement. So many have had an active role in making this dream come true, in helping to CULTURALLY unite our Gateways: profound thanks go to Yosemite National Park Superintendent Don Neubacher, Kassandra Hardy Bissmeyer, Kristen Kosick, Yosemite Hospitality LLC, Cara Goger and the entire board and staff of the Mariposa County Arts Council, the California Arts Council – and Boards of the YGP, Yosemite/Mariposa County Tourism Bureau, the Mariposa County Economic Development Corporation – who partnered with us at my request in our application to the CAC for this grant. But I reserve my final, special thanks to the magnificent musicians of the Mariposa Symphony Orchestra. They who travel – sometimes at great distance each week – to put in an incredible amount of work and dedication to bring my dry notes on the page: to vivid life. And for that I can never thank them enough. They work so very hard, and they place a huge amount of trust and belief in this music I’ve written – the sharing of incredible generosity, magnificent talent and musical taste – and they’re doing it all for a cause that’s exceptional: to bring live symphonic, orchestral music to listeners throughout this sparsely-populated, geographically large, but astonishingly beautiful region. It’s hard for me to be objective – even when I try to distance myself, this still feels like a big deal. For the first time in history, a symphony orchestra of musicians from the entire Yosemite region will play a concert in seven locations in five counties in our incredibly beautiful Gateways, including in Yosemite itself. It’s never happened before. And this tour is not only an opportunity to unite our Gateways – and I am so deeply humbled by and proud of THAT: but our overarching purpose is to pay homage to that which brings us all together on a level even beyond our beloved Yosemite itself: we proudly, humbly celebrate and honor the 100th Anniversary of the National Park Service. And finally, I’d like to tell you a little about this music of mine. From the start, I conceived of the order of the movements as they’d fit into the entire cycle. And so, their ordering have nothing to do with the chronological anniversaries or the order in which they were first performed. Movements I, II and IV have been premiered in Mariposa and Yosemite NP (Ahwahnee Hotel) by the Mariposa Symphony Orchestra under the composer. Movement III will premiere in April 2016 when the concert-length integral cycle is performed for the first time. 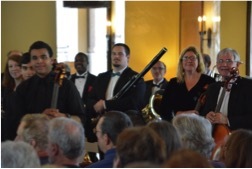 This cycle was awarded a California Arts Council Creative California Communities Grant to partially underwrite a performance tour of the MSO to the Gateway communities surrounding Yosemite National Park, a tour to be undertaken in April-May and August 2016. The entire cycle has individually and collectively been designated as an official event of the National Park Service commemorations. 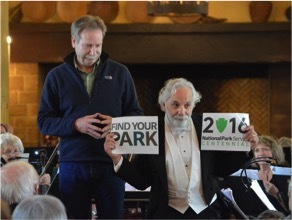 The complete symphonic cycle is dedicated with respect and admiration for our National Park Service by its composer, who was honored to be named a National Park Service Centennial Ambassador. I. 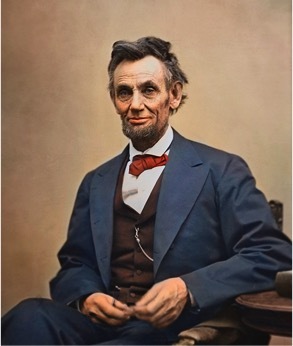 HOPE IN A TIME OF TRAGEDY (Commemorating the 150th Anniversary of Abraham Lincoln’s June 30, 1864 signing of the Yosemite Grant Act.) Ironic that this transcendent act of preserving breathtakingly beautiful lands in perpetuity occurred even as America tore itself apart. The movement opens with a simple three-note motif played pp by a solo flute: Ab, Bb, Eb – musically spelling “ABE” – a simple, pivotally important motif for the entire movement. Divided celli and violas state my “Yosemite” motif – the notes physically mirroring the profile of Yosemite’s horizon from the iconic Tunnel View. Bass/snare drums and crash cymbals introduce a jaunty march representing the Union; it climaxes as a wistful, melancholic tune connoting the antebellum South arises. Substantial development occurs as each side’s motivic material takes on increasingly complex character of conflict, stress and militaristic drive – a psychological approach to musically illuminating war. Snatches of what HAD been subtle counter-melodies in the exposition section now become dominant – and drive the development – the Southern tune becomes a relentless ‘vengeance’ tune and at one point, that “Southern” tune is heard in direct counterpoint to the “Northern” tune: counter-harmony at exactly the same time; north and south locked in conflict. Eventually, both sides simply wear out, dissolving into murky disquiet as a new key arises from the gloom: a gentle statement of the Yosemite theme is heard. Hope arises from tragedy – the tune builds into a heroic anthem – an outdoor, majestic treatment celebrating Yosemite – before the piece ends with a joyous peal of chimes and one last “ABE” from the brass – now A♮ B♮ E♮. II. WILDERNESS: OUR NECESSARY REFUGE (Commemorating the 50th Anniversary of the September 3, 1964 creation of the Wilderness Act.) To me, “wilderness” can describe places of tremendous variety. But I always find them places of enormous comfort, no matter how wild or seeming inhospitable. There’s something comforting to me about any area which bears no sign of man. Wilderness, is above all: beauty, power, life, death, harmony, danger and the majesty of nature. After rereading the Act itself and returning to that touchstone John Muir, I reminded myself of the four “classical” elements which comprise our planet: water, earth, air and fire: and then I structured and composed a piece depicting those four elements’ roles in the extraordinary power of wilderness starting with the miasma of elements at the time of creation. I set about depicting their many permutations: lightning, rivers, waterfalls, thunderstorms, a still pond, rain, earthquakes, wind, a tempest at sea and much more and ultimately, the harmony of those elements, intransigent as harmony can be…and above all, end all: OUR absolute, utter need for wilderness. Our need for ALL those things – that’s what I set out to capture in this 20-minute movement, Wilderness: Our Necessary Refuge. It was ironic to interpret and compose the sound of musical “fire” while evacuated for days from our threatened home during the Carstens Fire, and to continue writing during the Aspen and Rim Fires, which were sufficiently distant from our home to be no threat but instead a constant, nagging mere smoky reminder of the power of nature – but, fire is there in the piece. The movement both begins and ends in a quiet hush of tonal ambiguity – but not a harsh one – more a comforting sense of being adrift – perhaps in the wilderness of space. I created a subtle role for a wind machine and hand-made the one we use in our performances of the piece. Yosemite NP Superintendent Don Neubacher and Les Marsden in the Ahwahnee Hotel – just before the premiere of Yosemite! on April 26, 2015.
titles to their protectors. To work in the extraordinary landscape of the woods, or the desert or the plains or at the sea or (for the only slightly-less-fortunate) within the urban park settings or within the office component of the NPS, how more fulfilling a career can there be to the human psyche? To be in touch with nature on a constant basis? And so this movement is built on a few simple motives and tunes – including one whose subtle galloping lilt offers a tip of the hat to the pre-NPS African-American Buffalo Soldiers – among the earliest guardians of our parks – and the original “Park Rangers.” And as a native Westerner fully aware of where those first parklands inspired the preservation of lands across all our states, I probably unfairly gave this movement more than a hint of a Western feel. But no apology is forthcoming. Other tunes range from heroic to joyously rapt – all qualities I would hope are experienced regularly by the men and women of the NPS, no matter where they serve (and serve they DO) as they relish the satisfying careers with which I once flirted. And I do have to share an anecdote: after our first rehearsal of this movement, a lovely young oboist who drives to Mariposa from Fresno for our rehearsals – all that way – wanted to share her impressions of my music, of this movement. She noted to me somewhat excitedly that during one of the more light-heroic moments of this NPS movement, she saw in her mind’s eye “a person wearing a business suit – dashing into a phone booth, ripping off the clothing and exposing beneath it: a park ranger uniform!” And though it’s not precisely what I had in mind as I wrote this piece, I can’t think of a better bit of visual imagery to attach to it! I do have to say that if I owned an official flat hat, it would be OFF in salute to our guardians and stewards, the women and men of the NPS. IV. YOSEMITE! 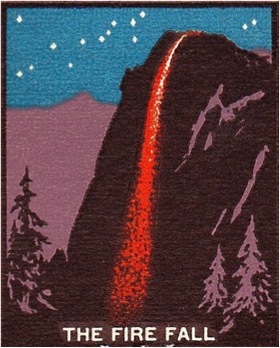 (Commemorating the 125th Anniversary of the October 1, 1890 establishment of Yosemite National Park.) The final and by-far longest movement is actually a suite of sorts unto itself in which the (perhaps) most important element of Yosemite – water – frames other elements which make up the Yosemite I love. Water defines Yosemite from its iconic waterfalls to its Merced and Tuolumne Rivers, countless streams and lakes and magical mists – and of course water created the famed Yosemite Valley thanks to water’s solid form: glaciers. But this movement depicts more: the sites and sights, sounds, wildlife – and even historic events of our breathtaking iconic natural masterpiece. Major sections of the sprawling 30-minute Yosemite! 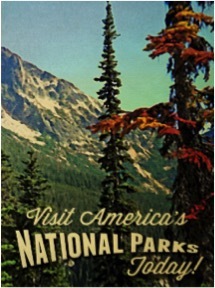 include “Prelude to Dawn: the Giants of Mariposa Grove” – which depicts not only the majestic sequoias but also human giants such as their protector Galen Clark, “Chickaree, Steller’s Jay and the Black Bear’s Lament,” “Go West, Young Muir,” and “1962: Yosemite Valley, Late Summer at Twilight” in which the famed Glacier Point Firefall is brought back to life, now etched only in the memory of so many, as that practice was ended in 1968. That resurrection is aural only, of course – through suggestive musical re-creation which also includes the words of the dual callers and hints of the two very famous tunes associated with the nightly experience. Introducing, intertwining throughout and concluding the piece are depictions of various aspects of Yosemite’s water – that defining, creating, shaping and attractive source without which there would be no Yosemite, including orchestral portraits of Illilouette Falls, the high country Tuolumne River in late Autumnal tones as winter begins its long embrace, the magnificently breath-taking Yosemite Falls and even “Ke-Ko-Too-Yem and Tissiak’s Tears” – perhaps better known as the legend of Sleeping Waters (Mirror Lake) and the tears on Half Dome’s face. I sought to utilize the universal language of music to bring to life not only the famed visual icons but also Yosemite’s lesser-known far-away places of both reality and the imagination. Composed with dedicated love for this incredible work of nature and the inspiration it’s given me throughout my life, in my Yosemite! I salute the entirety of Yosemite National Park. 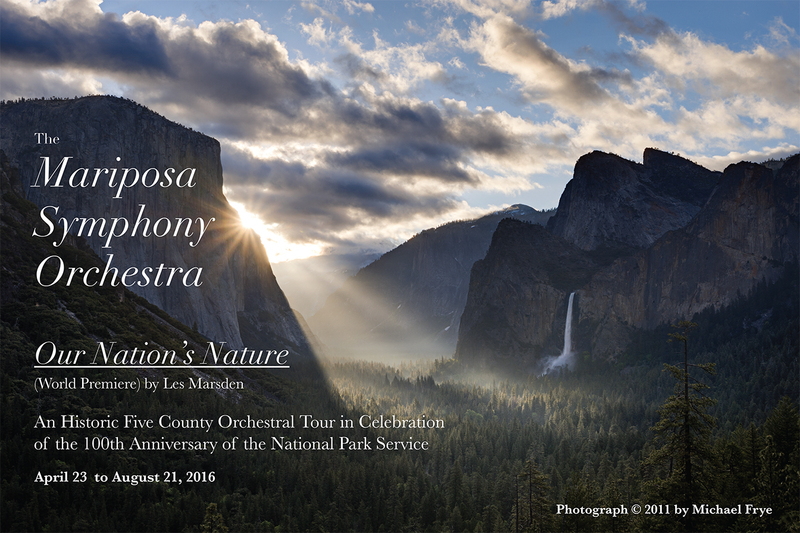 This concert tour of your Mariposa Symphony Orchestra commemorating the centennial of the National Park Service: is a once-in-a-lifetime event. 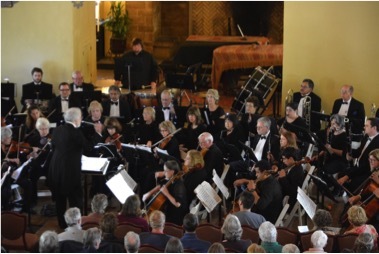 Tickets for the MSO’s Spring Concert Tour throughout the Yosemite Gateways are now available online – for each of the five paid locations (the Ahwahnee and final concert are both free, but only with seating provided first-come-first-served.) Our prices have increased slightly due to the cost of producing and presenting this tour but are still a remarkable bargain. Tickets for the five paid venues may be purchased online via our online shop. E-mail MSO@sti.net and ask to be added to the private, exclusive “Friends of the MSO” e-list.